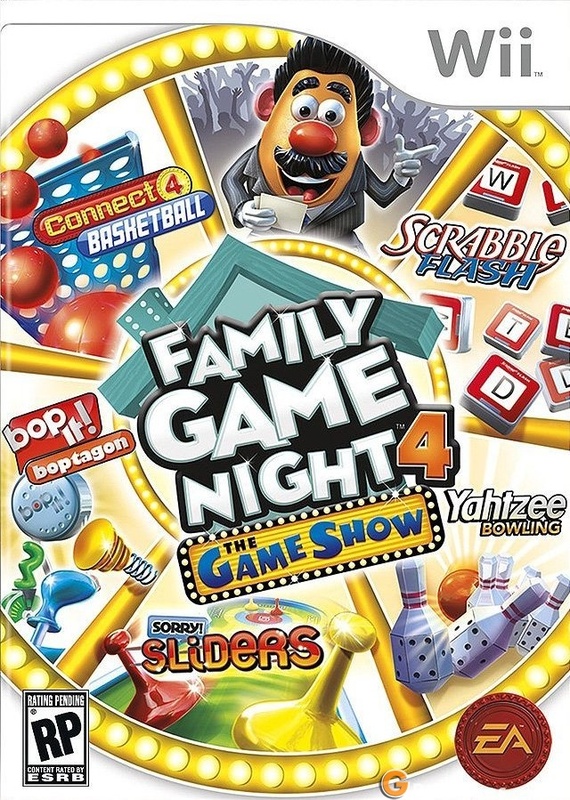 ‘Family Game Night 4: The Game Show’ Now Available! Enter to Win a Copy on Wii, PlayStation 3, or Xbox 360! Your living room becomes the board and you are the controller in this larger than life experience. This time you’re playing with larger-than-life pieces in re-imagined versions of your favorite Hasbro games. CONNECT 4 Basketball is more fun than ever as you shoot hoops to get 4 balls in a row and YAHTZEE! Bowling puts a whole new spin on the popular dice game. You’ll also find fun new versions of SCRABBLE Flash, SORRY! Sliders, and BOP-IT Boptagon, and win MONOPOLY Crazy Cash, just like the game show! 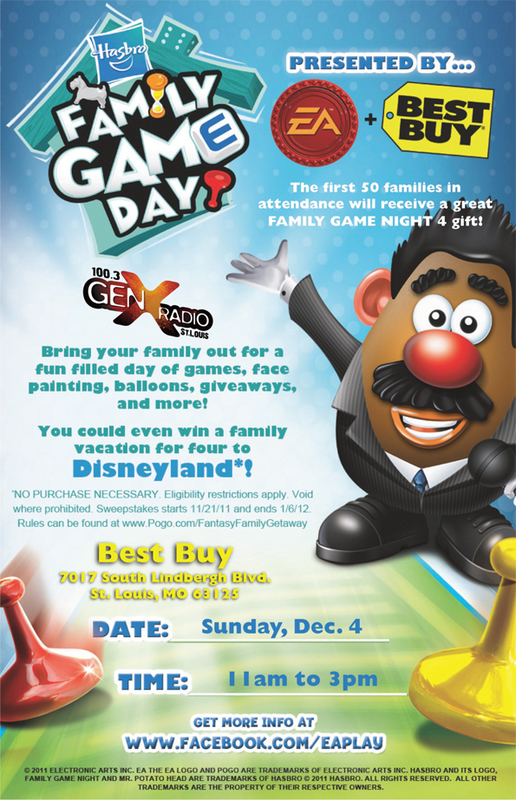 Play with friends and family and compete to prove your family is the best! Win Monopoly Crazy cash after each game. Xbox 360 Kinect & PlayStation Move Enhanced—Use Xbox 360 Kinect or PlayStation Move to turn your living in to the board and fully participate in the show. Local Multiplayer—Connect and play with your family with 2-person multiplayer. New Ways to Play—Play your favorite Hasbro brands like never before with new fun twists on the classics you know and love. In order to enter the contest, become a fan of ReviewSTL on Facebook and share ReviewSTL.com with all your friends (click the “share” link on the bottom-left side of the page) – telling us what your favorite family board game is and why! Then like the post to complete your entry. NO PURCHASE NECESSARY. PLEASE REMEMBER TO READ THE RULES! Hasbro’s ‘Family Game Night 4: The Game Show’ is now available on Wii, PlayStation 3, and Xbox 360! For more information, visit the official game site at EA.com.